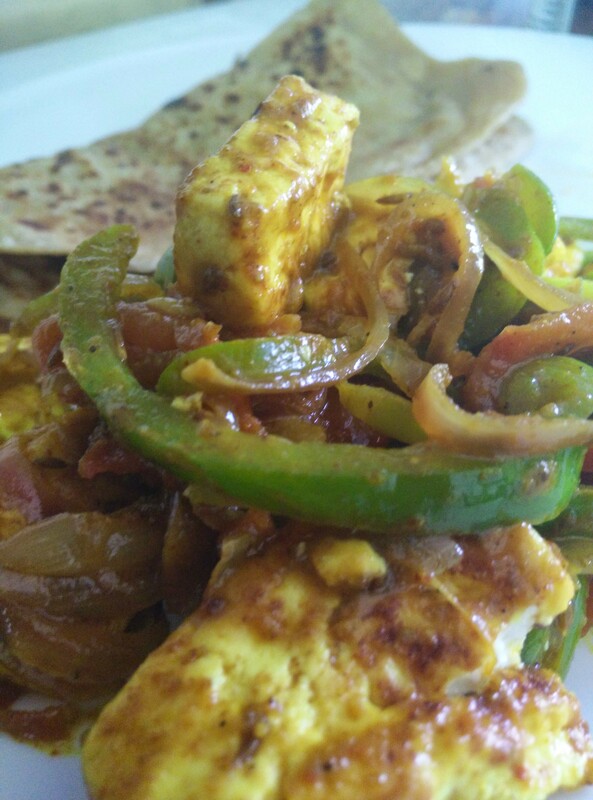 But this recipe that’s the humble paneer a notch higher. 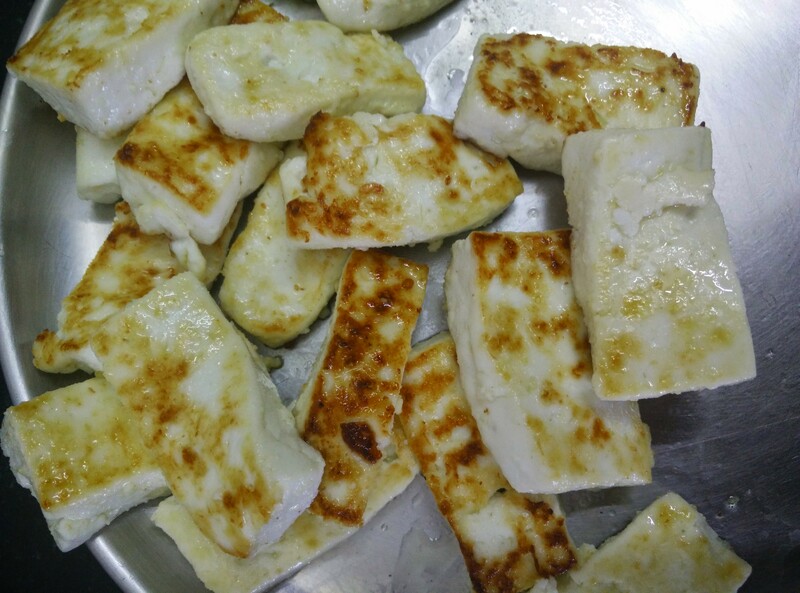 Shallow fry the paneer in a little bit of oil till it is golden. Remove and set aside. In the same pan, add cumin seeds and ginger-garlic-chillie paste. Once the seeds sputter add the garlic is cooked add the sliced onions. Stir fry till golden. Add the tomatoes and fry till tomatoes soft. Add the masala powder and capsicum together. 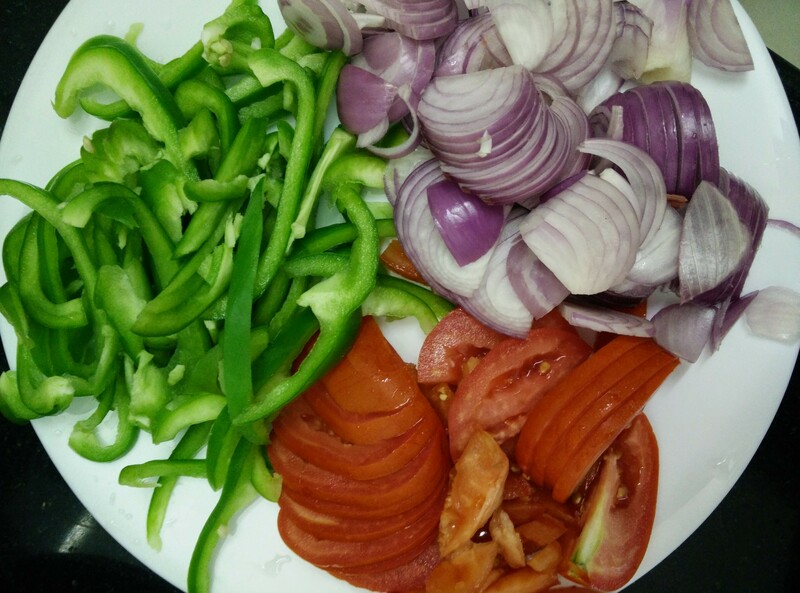 Cook till capsicum is cooked but not soft. Add the fried paneer, give it a quick stir fry and take it off the flame. Serve hot with chapatis or roti. You can also team it up with rice and dal. Paneer is prepared by adding lemon juice, vinegar, citric acid or yoghurt to hot milk. This separates the curds from the whey. The curd needs to be drained and collected in a muslin cloth and placed in a manner such that the excess water drains out, Keep the curd pressed for 2 to 3 hours. 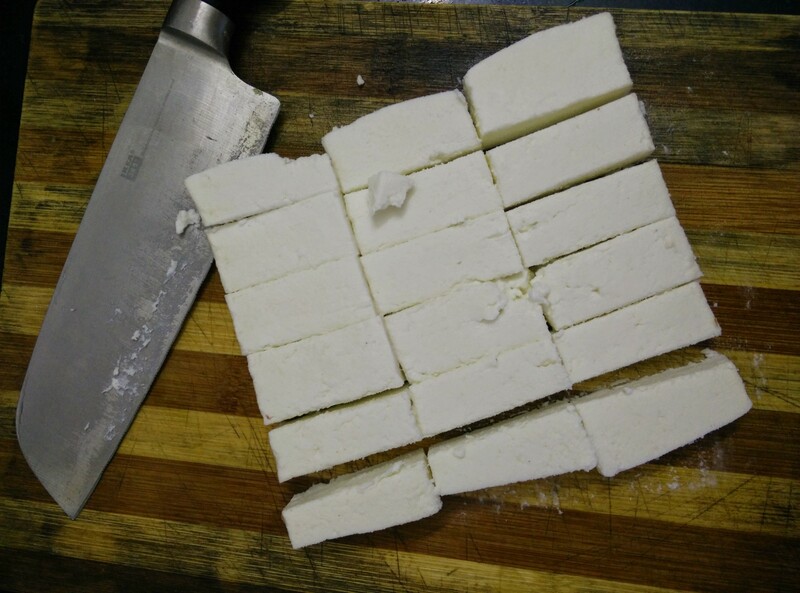 Cool it and then cut the paneer into blocks as required for the entree.